CNA class scholarships are offered throughout the year to local residents seeking to grow a career in healthcare. 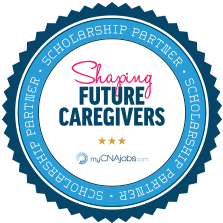 ABC Training Center partners with myCNAjobs to provide multiple CNA scholarships via the myCNAjobs Scholarship Fund to attend classes in Bronx, NY. CNA school enrollment takes place throughout the year and nursing scholarship applicants are reviewed each week.